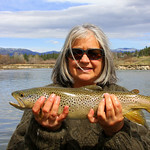 Year-round resident in Montana. Sexes are similar for the most part except males have a bright red spot on the back of their head. They have a white and black striped face, white under-belly with black and white checked wings. 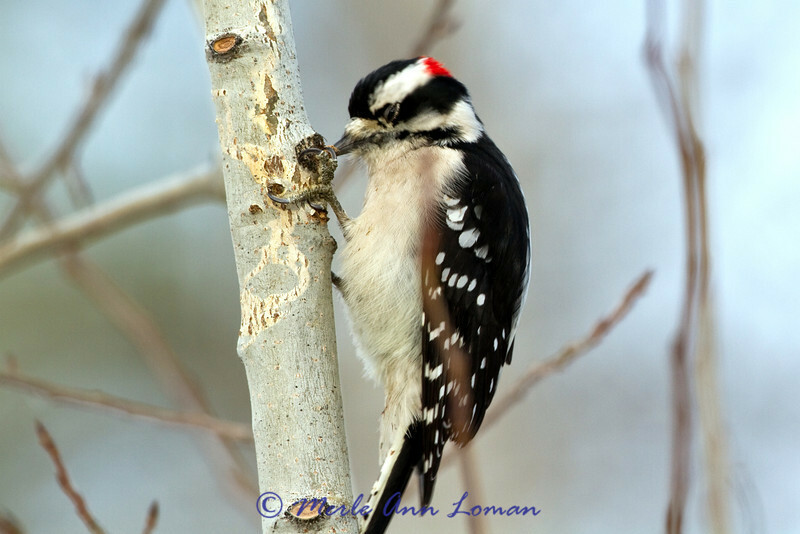 This woodpecker is relatively small sized with smaller bill compared to the Hairy Woodpecker. Length is from 5.5–6.7 inches.